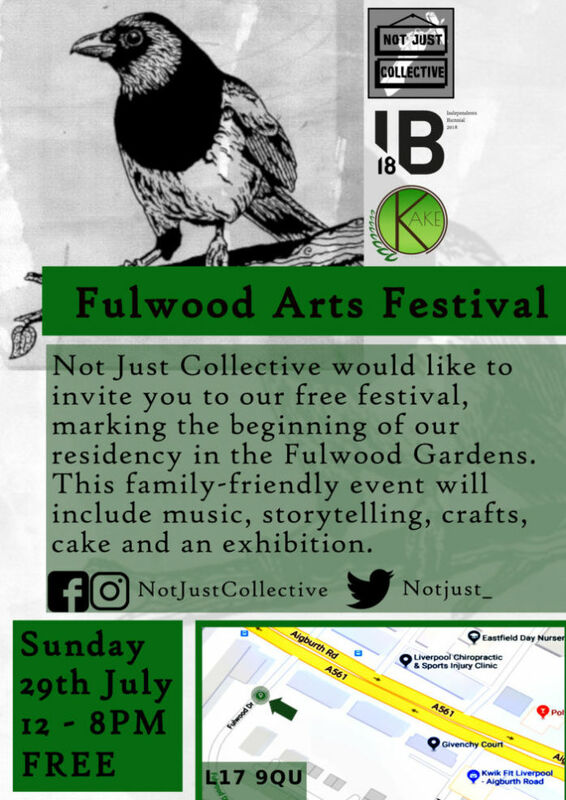 Not Just Collective would like to welcome you to our free festival, marking the beginning of our residency in the Fulwood Gardens this summer. Storytelling by Andy Johnson and Mary Rickett. In 2007, a large number of words relating to the natural world were removed from the Oxford Junior Dictionary. In response to this, Nicola is facilitating a project entitled #byewords. As part of this project, Nicola invites visitors to make prints inspired by these ‘Lost Words’ and the surroundings of the garden. UCraft is a Community Interest Company. This means that we are an organisation with an aim – to bring arts and crafts to more people. We are a not for profit organisation so any money we make goes straight back into achieving this aim. We run pop up workshops around Liverpool, and soon we will be opening our purpose built arts and crafts centre, where we will be able to offer a huge range of arts and crafts tuition and groups. Mindfulness is about paying attention to the present moment without judgement, connecting to the senses and nature, noticing beauty in the smallest things. Mindfulness tutor Tom George provides guided mindful meditation, which relaxes the body and mind through bringing attention to the breath. Learn how to relax in everyday life, regulate emotions, worry less, become more tolerant and compassionate. No experience neccesary, no religious affiliation.